Samsung partnered with Marvel to cross promote its movies through limited edition devices like the Galaxy S6 edge Iron Man Edition that came with a special red-gold color scheme, an arc-reactor themed wireless charger, a custom theme, and an Avengers box. The company even released Avengers themed accessories for the Galaxy S6 and the Galaxy S6 edge. Now, the company has launched yet another limited edition superhero-themed variant of a Galaxy smartphone. Samsung has launched the Galaxy S6 edge+ Ant-Man edition in China today, and it was rumoured last week. However, there’s no special color scheme or a themed wireless charger that is being bundled with the device. It’s just a regular Galaxy S6 edge+, but it comes with an Ant-Man themed protective case, a box, and possibly an Ant-Man theme. 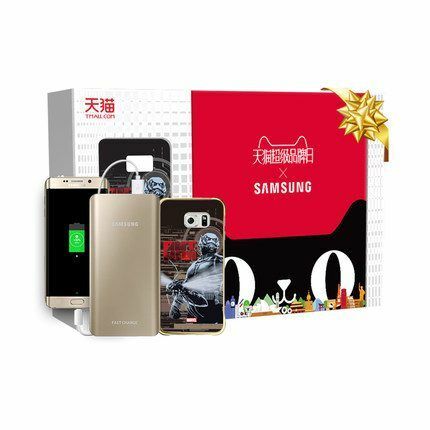 If you are in China, you can pick up the Galaxy S6 edge+ Ant-Man Edition by paying CNY 5,888 (~ $928). Bundling an Ant-Man themed case and a box is a nice touch, but it would have been much better if Samsung did a custom paint job for this ‘Limited Edition’ device, not to mention a custom-themed wireless charger. Hopefully, this device won’t be sold for as insane prices as the Galaxy S6 edge Iron Man Edition did.